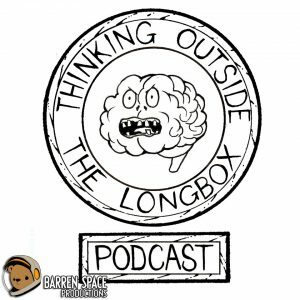 Coming straight out of Juan’s house, where Gabe holds a baby for most of the episode, you’re listening to episode 38 of the Thinking Outside the Long Box podcast!! As normal, we bring all of the cool news!! You get to hear our review of Civil War!! Plus Jon tells us a story about a customer, and his collection, including Faust, and our interesting new hashtag. All that, plus 1 awesome interview!! Our interview comes to you from the awesome Tim Morgan!! He tells us all about his book The Trip! In it, friends decide to take a trip together, and what happens? Of course the zombie apocalypse!! This is their journey through death and survival! !